It’s been quite some time since development began, but Cuphead is now finally releasing this week on PC and Xbox One in all regions. While development is done, members of the development team have revealed that they are not exactly done with the game, and a very interesting feature may be added after launch. 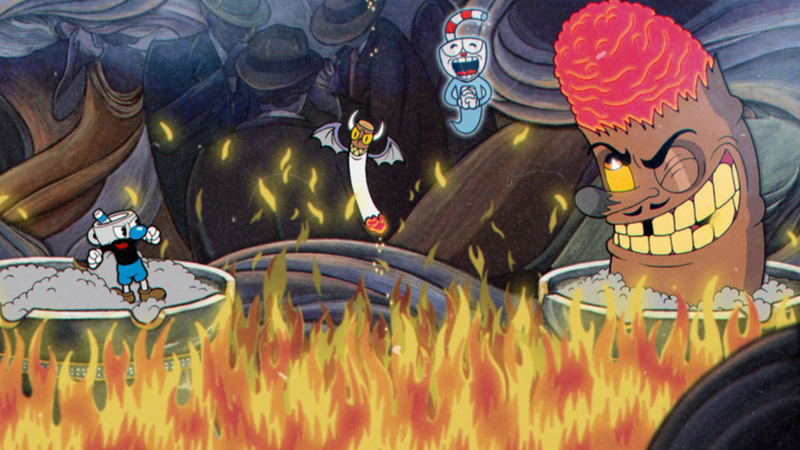 Speaking with Fandom about the whole Cuphead development process, producer Maja Moldenhauer stated that the team is looking into adding online co-op to the game in the future. Chad and Jared grew up playing co-op together and they were like, OK this game HAS to be co-op. So, while it’s local couch coop for now, [we’re] looking into adding online at a later date. More details have also been revealed on the NeoGAF forums by a member of the development team going by the name of Teeth. According to the developer, the game features a chromatic aberration slider. Yeah, that’s pretty outdated. Lots of stuff in that article doesn’t exist anymore. For instance, that spider with the top hat has become the giant flying bird and scanlines haven’t existed since 2015 (since they never made much sense anyway). There is a chromatic aberration slider now though! You can turn it all the way off or blast it all the way up for maximum retina searing colour separation. Cuphead launches on September 29th in all regions on PC ( Windows Store and Steam) and Xbox One.